The Department of Telecommunications and Postal Services (formerly known as the Department of Communications) is one of the departments of the South African government. It is responsible for overseeing the South African communications, telecommunications and broadcasting industries. The political head of the department is the Minister of Telecommunications and Postal Services. It was renamed in 2014 when President Jacob Zuma created a new Ministry of Communications with different responsibilities. ↑ Annual Report 2008/09. Pretoria: Department of Communications. p. 60. ISBN 978-0-621-38855-8. Retrieved 30 August 2010. ↑ Annual Report 2008/09. Pretoria: Department of Communications. p. 117. ISBN 978-0-621-38855-8. Retrieved 30 August 2010. ↑ Zuma, Jacob (25 May 2014). "President Jacob Zuma announces members of the National Executive, Pretoria". www.thepresidency.gov.za. Retrieved 26 May 2014. 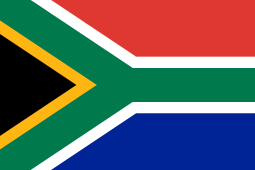 ↑ Republic of South Africa: Department of Telecommunications & Postal Services .